Purattasi is the 6th month in the Tamil Hindu calendar (mid-Sep to mid-Oct). Saturdays in this month are considered auspicious to propitiate Lord Vishnu in the form of Lord Venkateshwara to receive his wealth blessings. Purattasi is the month when the Sun will be in the sign Virgo, ruled by Mercury. Mercury’s overlord is Vishnu, the God of wealth. Hence, the whole month of Purattasi and especially Saturdays is highly revered by the devotees of Lord Vishnu. Worshipping Lord Vishnu as Venkateshwara on Purattasi Saturdays can shower you with wealth and prosperity. According to legend, Lord Vishnu descended on the earth plane at the Tirupati Hills, in the human form as Venkateshwara during the month of Purattasi . Also, it is believed that Shani (Saturn) loses his powers in this month. Hence, worshipping Lord Vishnu on Saturdays can gain you his graceful blessings and minimize the malefic effects of Saturn. On all Purattasi Saturdays, devotees of Vishnu observe Vrat (fasting). While some observe a partial fast throughout the month, many follow strict fasting on all Saturdays. Apart from avoidance of smoking and drinking, devotees who consume non-vegetarian food eat only vegetarian food. On every Saturday of the Purattasi month, devotees make Mavilakku (a lamp made out of rice flour, jaggery (cane sugar) and ghee). 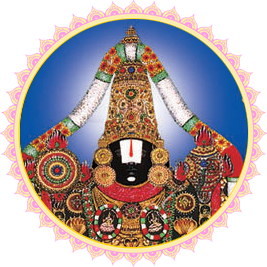 It is believed Lord Balaji (Vishnu) smiles on the devotees through the light from Mavilakku. Observance of fasting is believed to remove impurities, which are essential for attaining the abode of the Lord. Hymns dedicated to Lord Vishnu are chanted during the occasion. Lord Vishnu is the preserver and protector of the universe and one among the Trinity. Performing a sacred homa to Lord Vishnu can bestow you with wealth, good health, happiness, and prosperity. Draw the circle of protection around you — seek the blessings of Lord Vishnu to flourish, maintain good health and achieve success in all your endeavors.